Parliamentary Inquiry highlights the need for more research into the impact of austerity and hardship on families who use infant formula. 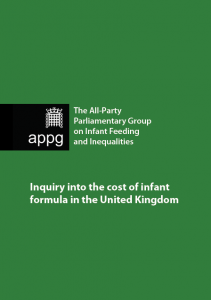 Today at the Unicef UK Baby Friendly conference the All Party Parliamentary Group on Infant Feeding and Inequalities (APPGIFI) will launch findings from their inquiry into the financial impact of infant formula on family budgets in the UK. Dr Helen Crawley, Director of First Steps Nutrition and author of the report will today tell delegates at the Unicef UK Baby Friendly Conference that the APPGIFI inquiry has found that the high cost of infant formula is reported to be having a seriously negative impact on a number of families in the UK, and that this may lead to unsafe feeding practices, and parents limiting their own food intake or that of other children, in order to make ends meet. Vulnerable and low income families, those with multiple births, homeless families, those living in temporary accommodation, asylum seeking families and those with no recourse to public funds are most at risk of experiencing ‘formula’ poverty. • The cost of infant formula was reported to have a serious impact on some family budgets and can range from £6.44 to £13.52 per week for powdered varieties, compared to £24.47 to £32.20 for ready to feed products. • Families on tight budgets may resort to unsafe practices in order to feed their babies – like skipping feeds, watering down formula or adding cereal. • Marketing and advertising were reported to have a significant influence on families’ choice of infant formula in spite of the fact that all infant formula must have a composition that conforms to UK regulations. “I often go without basic toiletry essentials (particularly feminine care items) due to having to choose between those and formula.” – Parent respondent. “I have cared for families who will have the money for formula but won’t have the money to buy essentials such as soap, fruit and veg, won’t wash clothes.” – Health Worker respondent. “Formula is incredibly expensive, we struggled at times when we reached the end of my maternity pay. We are both professionals in public sector jobs, I imagine it’s almost impossible for low income families to cope with the costs. Families will be buying formula with the food shop and it will inevitably be affecting how much they can pay for food.” – Parent respondent. “We wanted to know more about the lived experience of families using formula and the financial impact on the family budget. We also looked at the determinants of formula choice, the advice and support available and how this affects feeding practices in the UK. “New mothers and families need more support – right from the very start – however they choose to feed their babies. Infant formula is extremely expensive and can be a significant proportion of a family’s weekly food budget. In a period where the cost of living has increased, but the wages in people’s pockets and healthy start vouchers have not kept pace, families are making difficult choices of going without in order to feed their children. • Research is urgently needed into the potential for unsafe infant formula use in low income and vulnerable families and the potential risks this may pose to short and long term child health. • Government should set up an independent body to regularly review data on infant feeding in the UK and work across departments to ensure that the needs of infants are considered in any changes to welfare, immigration rules, benefits and health and social care services. 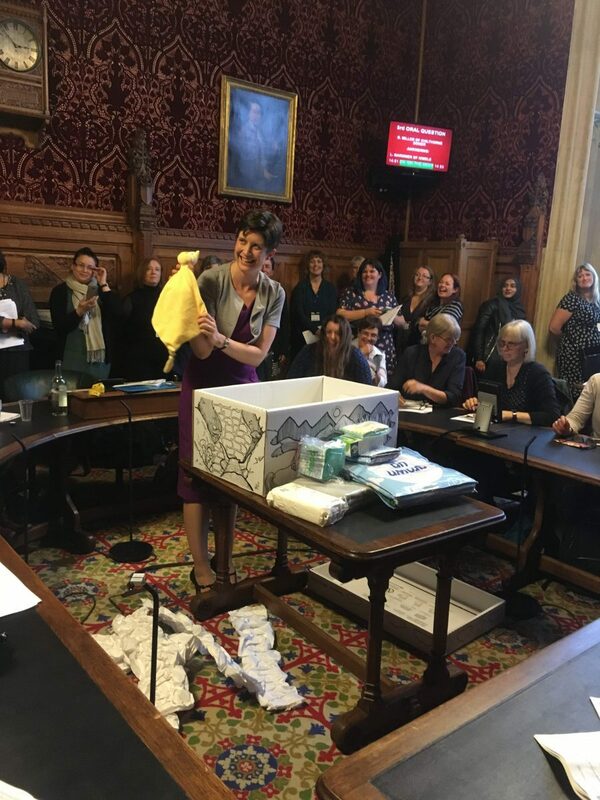 • The UK should bring the International Code of Marketing of Breastmilk Substitutes and subsequent WHA resolutions (the Code) into UK law to remove advertising of breastmilk substitutes to the general public, and to ensure that health services are free from conflicts of interests. • Public health messaging is needed which makes clear that there is no significant nutritional difference between brands of first infant formula and that they must all conform to the same compositional regulations. 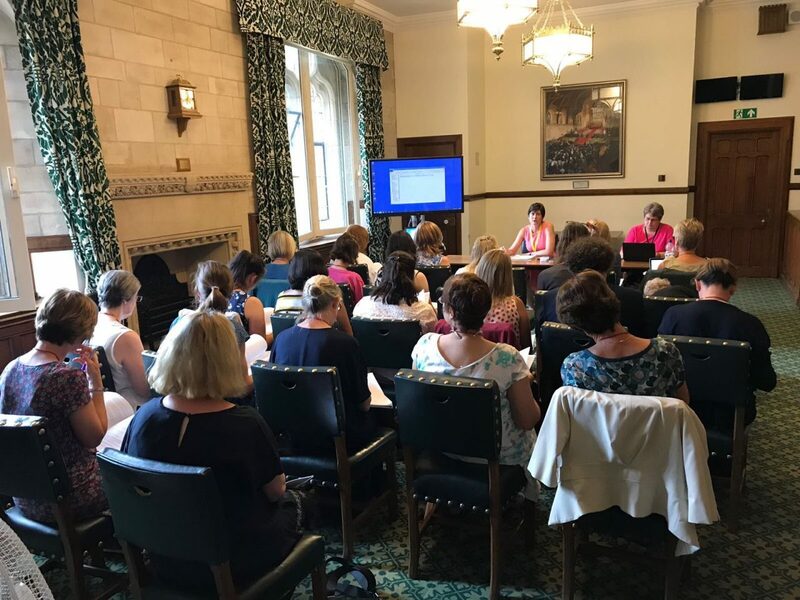 Evidence was collected over June 2018 from families and individuals, organisations that care and support pregnant women and families in a wide variety of contexts across health, social care and the community. The inquiry received 108 responses from both individuals (n=81) and organisations (n=27) throughout the UK. 36% of the individual responders self-identified as health care professionals, health visitors or breastfeeding counsellors and 64% self-identified as parents. 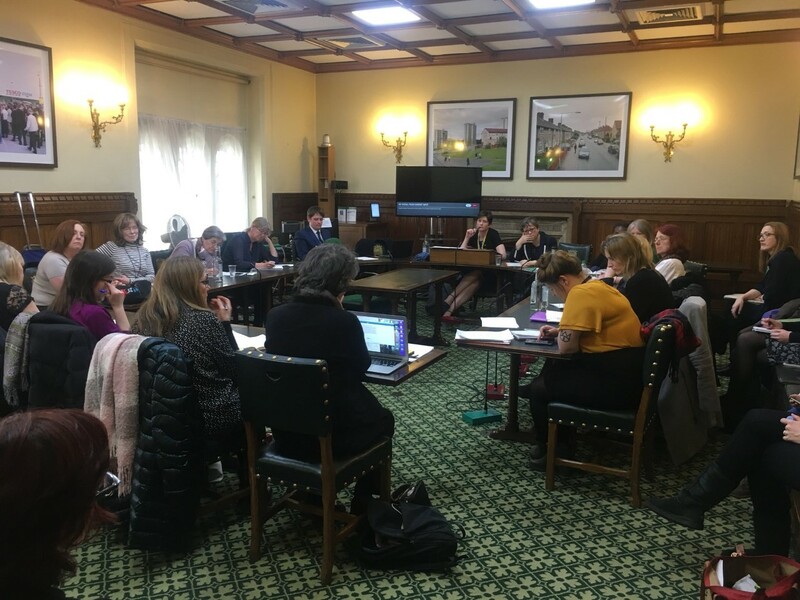 Cross-party parliamentary group for infant feeding and inequalities in the UK Parliament, chaired by Alison Thewliss MP. Unicef works in public services to help new parents give their babies the love, care and nourishment they need to get the best start in life. Our Baby Friendly Initiative works with health professionals – from midwives and health visitors to neonatal nurses –to make sure every new mum gets expert support to nurture and feed their baby, whenever they need it. As part of a wider global partnership with the World Health Organization, the programme has revolutionised healthcare around infant feeding and parent-child relationships for all babies and mums. In everything we do, the mother and baby are our sole priority, because we know that the first days and weeks of a child’s life can determine his or her future. Group officers for the coming year will be elected during the AGM, and details of future meetings of the APPG will be published in due course.